On Thursday, Kenyan police fired bullets and tear gas at stone-throwing protesters who were against a repeat of the country's disputed presidential election. In Kenya's third largest city, Kisumu, gunfire killed one person and wounded three others. Riot police also fired tear gas in two Nairobi slums. Protesters started fires early in the morning on Thursday and a church was firebombed. 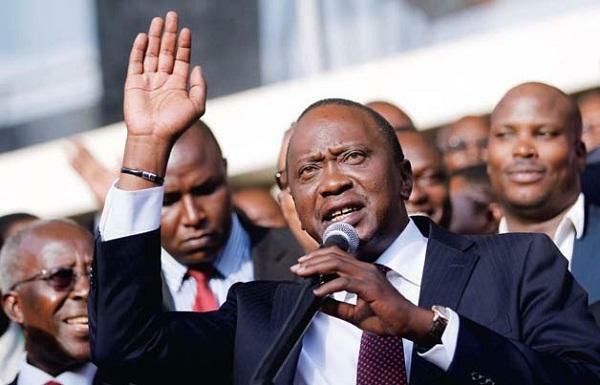 In August, President Uhuru Kenyatta won 54 percent of the vote in the country's presidential election. Opposition leader Raila Odinga received nearly 45 percent of the vote. However, Kenya's Supreme Court overturned the results because of what it described as "irregularities and illegalities" in the vote. Kenyatta called the justices "crooks" and ordered a new election. The night before the court was to consider a last-minute appeal to delay the vote, a driver for the deputy chief justice was shot and wounded. The shooting recalled the murder shortly before the August vote of a top election official responsible for electronic voting. Human rights groups say police killed at least 67 people during protests after the August vote. Meanwhile, Odinga has dropped out of the new vote. He said reforms have not been made to make the vote credible. He asked his supporters to boycott the voting. One school in Kisumu that saw huge lines of voters in the August election was closed Thursday. Its gates were locked. An opposition supporter said "We are not going to vote and we are not going to allow it." An election official, John Ngutai Muyekho, sat with the uncollected boxes in another school guarded by security forces. He said no ballot boxes had been delivered to the 190 polling stations in Kisumu. Voting went on in areas where President Uhuru Kenyatta has support. However, the Associated Press reported that fewer voters were turning out in those areas than in the August election. At a polling station in Kenyatta's hometown of Gatundu, a voter said, "Our hope for the country is that whoever emerges the winner will be able to unite the country, which is already torn apart by politicians and politics of the day." In 2013, Odinga lost to Kenyatta in an election filled with accusations of vote rigging. Odinga also ran unsuccessfully in 2007. More than 1,000 people were killed in that election and another 600,000 were forced from their homes. Many observers say ethnic divisions hurt the promise of Kenya's democracy. Kenyatta is from the Kikuyu tribe, while Odinga is a Luo. 5.Meanwhile, Odinga has dropped out of the new vote. I dropped out of high school. It bored me to death. 6.The shooting recalled the murder shortly before the August vote of a top election official responsible for electronic voting.